This post is brought to you by PatPat Shopping App. All opinions are our own. We all love to shop good deals, am I right? I am a busy mom, but I know that I love to browse shopping apps on my phone in between feeding the baby, diaper changes and picking up my daughter from school. I’m always trying to find the best deals on anything from kids clothes to diapers and all the essentials in between. PatPat is a new shopping app that offers you great deals on quality products, up to 90% off retail! 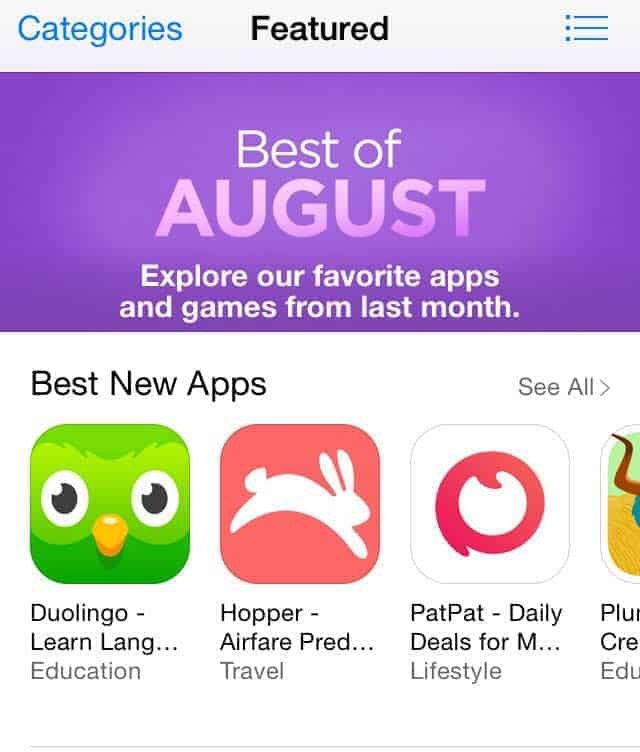 It has recently been featured on the homepage of the app store as one of the best free apps for Apple. Download it now and check out the deals while I tell you more about it. Use the code ‘SAVE30’ and you will save 30% and $5 off your first order! 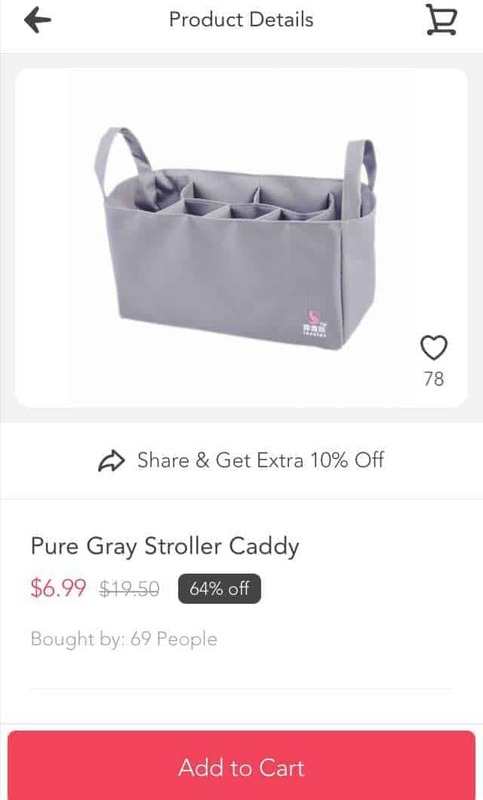 I only paid $1.39 for the $6.99 stroller caddy (which was already 65% off retail) with the promo code. I saved an additional 10% by sharing the product to Facebook, Twitter and Pinterest! If you live in the US, shipping is completely free. PatPat works with retailers rather than storing their products in a warehouse which helps to keep the costs low for you. PatPat is free for iOS and Android. Free is always good right? 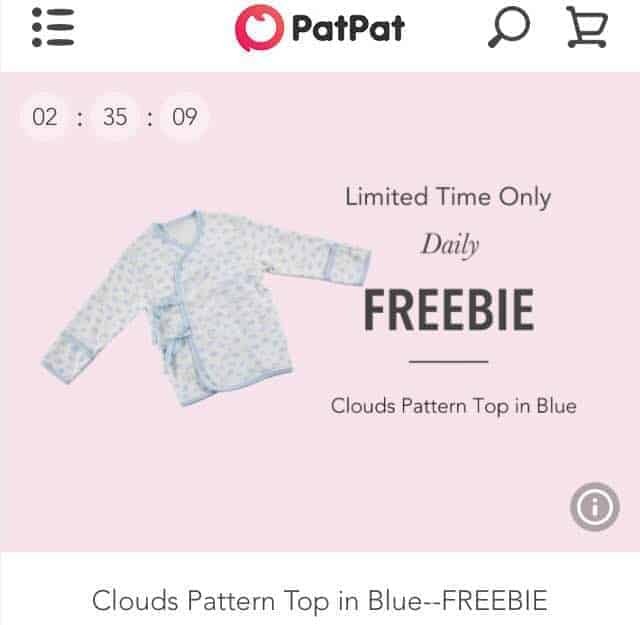 PatPat understands free is good, so they offer a Daily Freebie! It is only available for a few hours, so be sure to take advantage of that! You can check the Upcoming section to see what will be free tomorrow and at what time. There are up to 20 new deal events every morning, so check the app daily for new deals. Some of my favorites I have found are Little Laydy’s Beauty Decoration (my daughter loves clips and bows!) and Cute & Convenient Baby Stroller Organizers starting at $6.99. They hang on the handles and have so many spaces for bottles, diapers and your cell phone, freeing up some space in your bag! USE OUR SPECIAL Code – “OURF35” – Save 35% plus $5 off for new user. If you have kids, you might have a few plastic shopping bags in your own bag, to prepare for the dirty diaper when you have no place to toss it, or your kids soiled clothes or a wet bathing suit. No one wants to carry around plastic bags, PatPat carries wet bags! Starting at $5.99, they are waterproof and come in cool colors and prints. Use the code ‘SAVE30’ and your total becomes $4.20! Take advantage of their cloth diaper package at an amazing price of $35.99 for a 13 piece set. It includes 6 cloth diapers, 1 wet bag, and 6 diaper changing pads. You can choose either girl or boy as well, so they aren’t generic patterns and colors. Again, use the ‘SAVE30’ code and your total drops to $25.20 (that is less than $2 a piece!). PatPat has everything you need from maternity dresses, diaper bags and baby clothes to kids clothes, Halloween costumes and everything in between. It is all offered at huge savings, and deals change all the time, so you can always keep shopping! Each deal lets you know how long it will be available, in countdown form. Swiping left will get you to all the categories such as All, Upcoming, Last Chance, Best Sellers, Diapers, Halloween, Kids Fashion, Women’s, Trendy Accessories, Toys and Essentials. PatPat is so easy to use. Click on the item you want and add it to your cart. When you are done shopping, you will see the cart at the top right corner, with the number of items in it. Click on it and it will give you a subtotal and a list of all your items. Simply click ‘secure checkout’ and you can choose to checkout with a credit card or PayPal. This last page before submitting your order is where you can type in your code ‘SAVE30’ for your 30% and $5 off! Want to save even more? Share- or rather “pat”- your favorite finds to your friends to unlock additional savings! If you haven’t already, go download PatPat! What are you waiting for? It is free to download, free shipping and you get 30% and $5 off your first order, not to mention a daily freebie! What more could you ask for? PatPat is definitely going to be my new go-to app when shopping! What a fantastic app! Who doesn’t want to save on the ole budget! This is a wonderful app. I’m going to have to download it and use it next time I need to buy baby stuff. Wow! Those are huge savings! I like that! I love savings apps. I think I buy more when I find great apps like this. I know that is the intention, but I am a sale-a-holic, and when the price is that low, I can rationalize it! Great apps. Just heard of this app recently. I think it will be so handy to have. I really appreciate this app and the convenience it gives to people who are trying to save. It’s definitely something I’ll keep on my phone. Wow they are taking the interwebs by storm! I am hearing so many women saying how much they love it! The deals on this app are so nice. It will be great to check in every now and then to see what deals are posted. Thanks for intoducing me to this app. I had not heard of it before! I will have to check it out because I love finding great deals and freebies! Kids clothing can be so expensive! 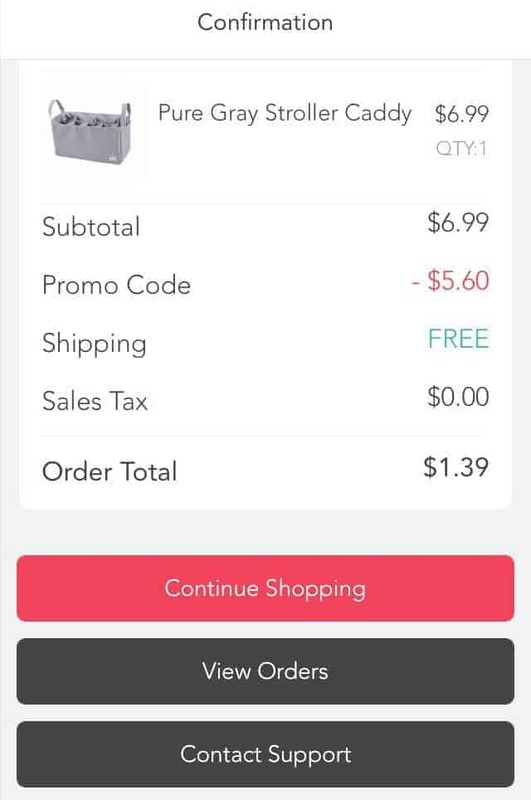 A really good shopping app with great discounts can go a long way on helping with that! I’d love to browse around and find some cool products. The awesome deals would be something to look forward to as well! A daily freebie? Now, THAT is cool! I like finding deals wherever I can. I love a good deal!! Anything that makes shopping fun and easier is wonderful!! PatPat sounds like an amazing app. I will have to download it tonight to give it a try. I love apps that help me save money. I will have to check this one out. It sounds easy to use. I haven’t heard of this app yet but I will check it out. I love to save money any way I can. SO funny, I just got this app. Really looking forward to checking it out after reading this! Anyone who knows me knows that I’m downloading PatPat. I LOVE saving money, and I love finding new ways to do it. What a great app for saving money! and who doesn’t like to save money, right?! Shopping app huh? Good money saving. Good way to save money! I agree you need a wet bag! We all know the one time we don’t THAT is when we will need it badly! This is the first I’ve ever heard of PatPat. It sounds like a great way for moms to save. Awesome! I never even heard of this app before! I need to get Pat Pat to start saving!! Love amazing deals on every day items! Thanks for sharing! I think I need to get pat pat! I love saving money whenever I can! !